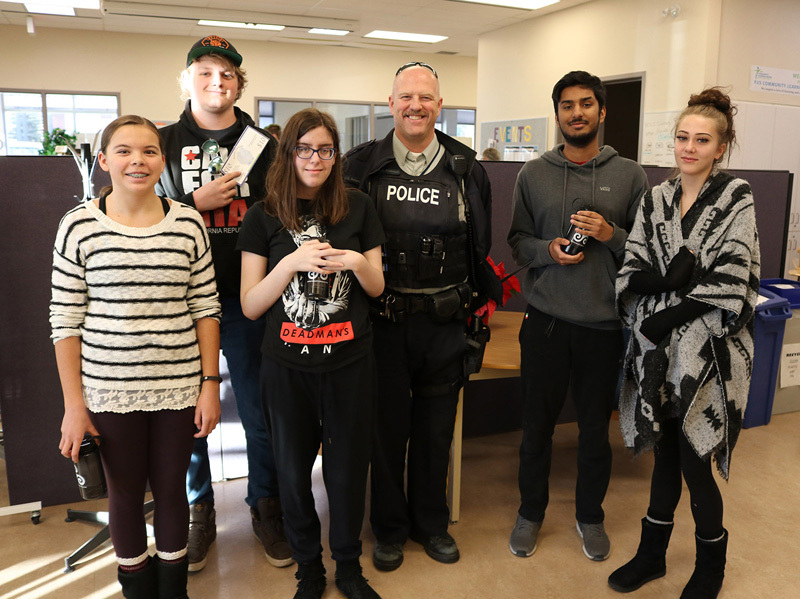 Five students from the Rocky View Community Learning Centre were ticketed by Chestermere RCMP, but the ticket was for the right reasons. On Nov. 27, select students were recognized for demonstrating positive habits in the community through the Positive Ticketing program. “It’s an opportunity to recognize youth who are doing positive things in the community,” said Synergy Team Leader Coralee McIntosh. Students can receive a positive ticket by doing a variety of things, such as wearing a bike helmet, driving safely, helping someone cross the street, or being helpful and friendly McIntosh said. “It’s fun to see them get praise for doing something that they might not always get recognition for,” McIntosh said. She added, it’s also important to provide an opportunity for a positive relationship with Chestermere RCMP. The Positive Ticketing program first began in 2015, in partnership with Stepping Stones to Mental Health, Chestermere RCMP, the Chestermere Public Library, and Synergy, and roughly 500 positive tickets have been given out since. Success Coach with Stepping Stones to Mental Health Tayyaba Walayat said the Positive Ticketing program is all about acknowledging youth for the good things they do. A lot of attention youth receive isn’t always in a positive light. Walayat added, this is a way to empower youth to be positive in their classes, work through their own challenges in a positive way, and even be a role model for their peers. “Everyone likes to be recognized for something good they’re doing, we don’t always get that chance especially in schools,” Walayat said. She added, seeing the students become bashful, and light up when they receive a positive ticket is her favourite part of the program. 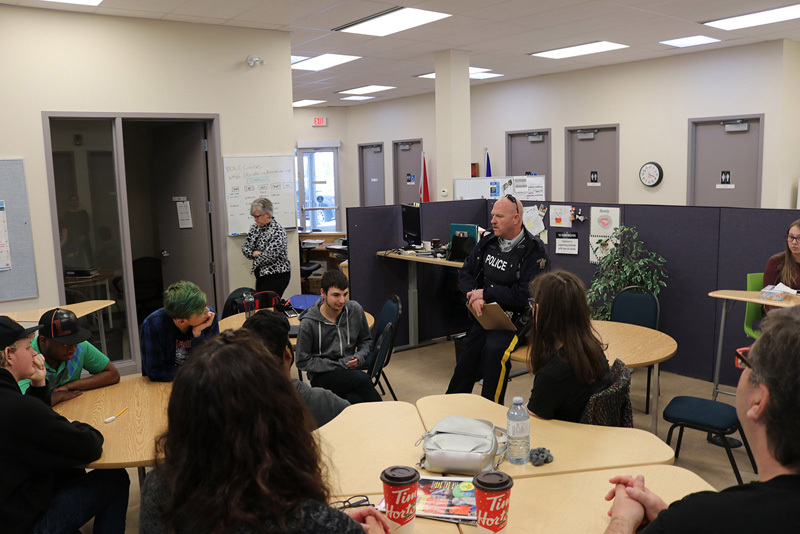 For Chestermere RCMP Keith Anderson giving out positive tickets is a nice way to give recognition back to young people who are making a difference in their community, or who are making a difference in their own lives in a way that is moving in a good direction. “For me as a police officer, it’s getting to do something that people are actually happy to see me at,” Anderson said. For additional information about the Positive Ticketing program please visit the Synergy website at www.yoursynergy.ca/positive-ticketing-program.